* Mariell presents our classic Cubic Zirconia drop earrings with briliant 2 ct.
* The drops dangle from euro wires with delicately inlaid Cubic Zirconia stones. * Our gorgeous wholesale earrings are the ideal bridal or bridesmaids earrings and are understated enough to wear everyday! * These are best sellers and are must-haves for every retailers. 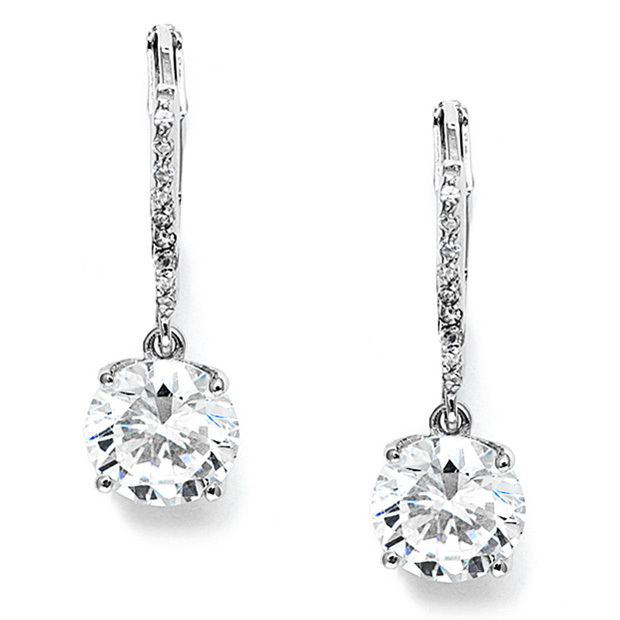 * Mariell's classic 1" h Cubic Zirconia drop earrings boast 2 ct.
* Round CZ's on a euro wire. * The faux diamonds dangle from silver rhodium euro wires inlaid with delicate Cubic Zirconias. * These wholesale earrings are perfect wedding or bridesmaids earrings.